Since setting up just a few years ago, Thinking Bob has gone through a lot of changes. What started as a small selection of events has become a massive community of smart and interesting bobbers who attend over 60 events and socials a month. We have a website, a snazzy app and (most exciting of all) our community recently surpassed 10,000 members! In honour of this, we’re excited to introduce a new series of posts here on the Thinking Blog: Meet the Team! We want to give you a better insight into what happens here in the office, who we are, what we love and what each of us does to make Thinking Bob tick around the clock. Say hello, to the lovely Rebecca! Hi Becks! So, first off, why don’t you give us a bit of background about yourself? Hello! Well I graduated in Maths from Leeds and Penn State, and from there decided to jump into the world of events. I worked with a lot of charities, including the Stephen Lawrence Trust, Mad4Africa and Oxfam. I helped spearhead the #somethingniceforashraf Twitter campaign in 2011 following the attack on a young Malaysian exchange student, Ashraf Haziq, during the London riots. We raised an incredible £23K in three days! I also spent a few years teaching in Ecuador and trekking across the Inca trail, which was a fantastic experience. How was the concept of Thinking Bob born? The reality is making new friends in a city has never been harder. When I first started dreaming of Thinking Bob, I’d been living in London over a year, yet I was still single and had hardly met any new people. I did some research and discovered a lot of others were in this position. Building up new social circles in London is really tough and catching up with old friends can take months to organise… even with those who live in the same city! I tried a few online dating sites and social clubs, but they promised a lot and disappointingly delivered very little. Finding people I clicked with was a lot tougher than it should have been in such a big, vibrant city, so as I couldn’t find what I was looking for, I started it myself! I got sick of wanting to go to things like pub quizzes and not being able to get a team together. I thought it would be great to have something where you just turn up and join in, and actually click with people around you at a personality level as well as interest; something where going out on your own was a positive thing. I wanted to create something that would enable people to meet easily doing interactive stuff rather than just going to the pub. So there are NO pubs involved?! I didn’t say that! 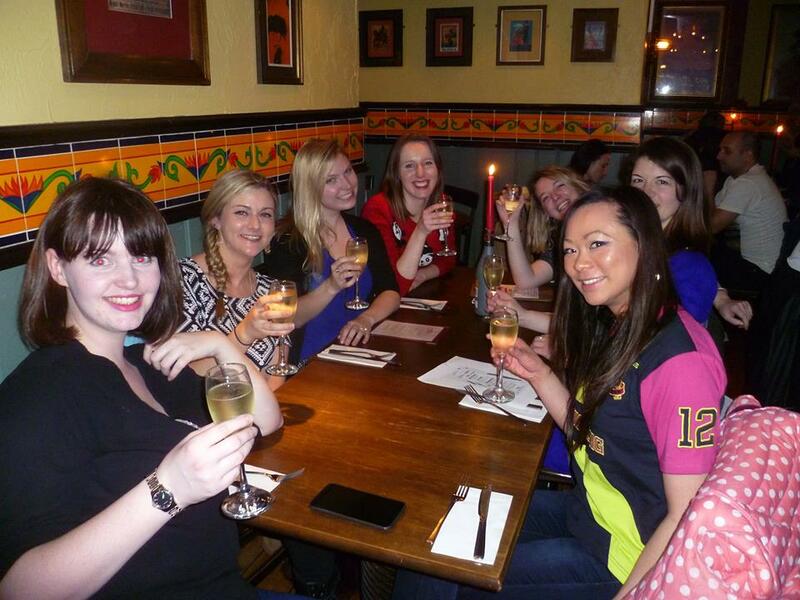 Although nearly all our events do involve a drink or two (or three! ), they mostly include an “intellectual” activity beforehand that actually gets people using that useful brain of ours! One of the things that makes Thinking Bob special is the way we connect people by personality traits not interests. Just because two people like to eat Japanese food or go to the pub doesn’t mean they’ll really understand each other. So here’s the question everyone’s been asking… why the name Thinking Bob? And, more importantly, who is Bob?! I wanted to suggest ‘using your brain’ rather that intelligence so ‘thinking’ just seemed to fit. Then I decided on our logo stickman– who needed a name. We went through everything: Thinking Kevin, Thinking Steve… Thinking Bob just worked! It rolls off the tongue, and everyone likes a Bob! What sets Thinking Bob apart from other members clubs or socialising sites? Good question! We’ve designed all our signature events with our members in mind. They’re all built especially by us for people who are meeting for the first time, and really help take the pressure off suddenly finding yourself in the midst of a bunch of strangers. Unlike other online sites and clubs, members can also be secure in the knowledge that every single new member has personally met and been accepted into the community by one of the Thinking Bob team. No catfishing or fake profiles here! That’s great news! So what are your plans for the future of Thinking Bob? We launched our app just before Christmas, and we’re currently working on a big update for that. At the moment it provides a great and easy way for members to sign up to events and keep in touch with their growing social circle, but we’re also looking to add more interactive features that will make it even more fun and exciting to use. We’re also looking to expand out to other cities, with Bath, Bristol and Manchester all on the cards for this year! If you were an animal, what would you be? 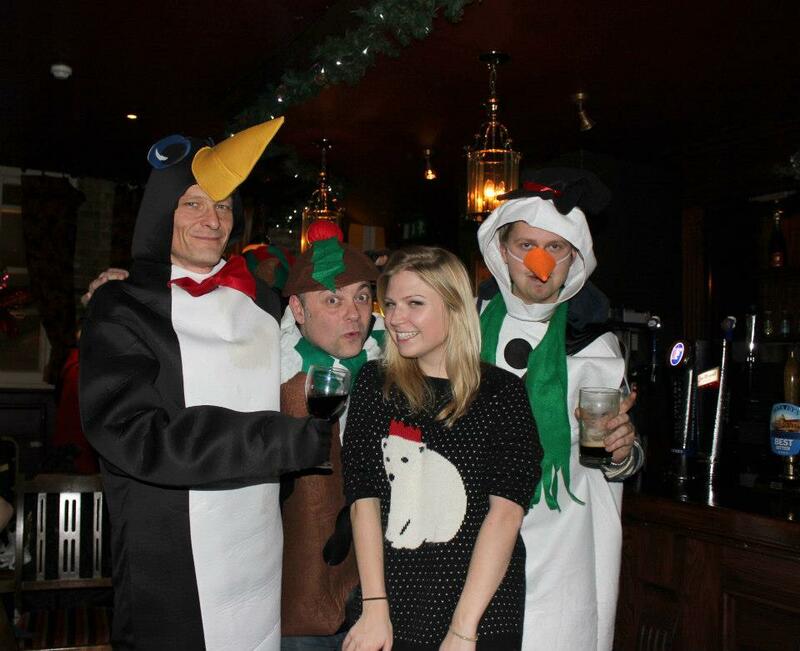 A penguin of course. Favourite Bob event? My favourite of all time was the Pirate Murder mystery on the Golden Hinde, but in general I LOVE the gameshows! Favourite snack? Cheese strings or quavers. 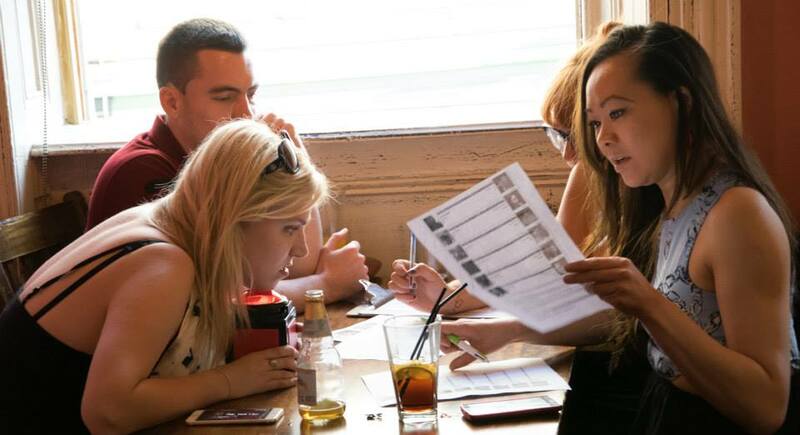 Meet new geeky friends in London this month – for free! Has Becks managed to convince you to join the community? Then we have some great news for you: your first month’s membership is FREE! So what have you got to lose?